This is actually a collection of my bookmarks which I have collected over all these years in my quest to search for knowledge which I know not of certain events in certain anime listed down below. A lot of time went into composing such large lists, but I guess it's a hobby. I still need a bit more time before all goes well, so wait a while, please. I have been watching this anime for such a long time now, and am actually quite sad at the relatively mild ending of Dragonball GT. 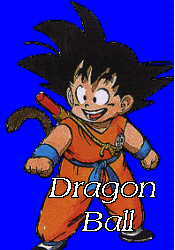 Nomatter how bad GT was, it still was part of Dragonball. It was ok when Z finished, because they all were still alive, and personally, I'd like to keep it that way. Oh well, so much for the quest of knowledge about Dragonball GT. It was rather dull except for Super 17. 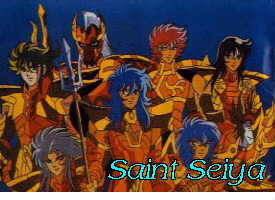 Hmmm....Lets see, Saint Seiya. 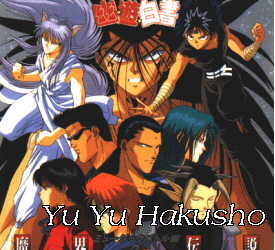 I never really did watch this series, and ended up reading an extremely detailed translation by some French person (I really should be thankful). I do recall seeing the series, but that was such a long time ago. I managed to thoroughly understand the Hades series (after reading through the volume 6 times plus), and found myself a favourite god. Anyway, there was the quest to see what other gaps I could have missed in reading a chinese manga of the series.